P.H. 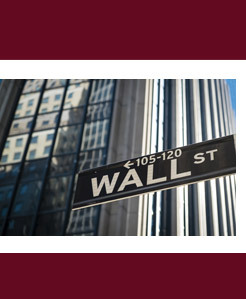 Wilson Law is a New York-based boutique corporate law firm catering to small to medium-size companies, their owners and those who do business with them. Recipient of The New York Enterprise Report Service Area Award for outstanding service in corporate law, the firm advises on a wide variety of matters ranging from mergers and acquisitions to business contracts and entity formations – and acts as outsourced general counsel for companies that do not have attorneys on staff. 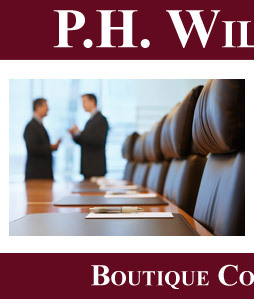 Unlike most small corporate law firms, P.H. Wilson Law is run exclusively by former large-firm attorneys with experience in multi-billion dollar deals – including being lead counsel in the largest cross-border merger of its time. Our mission is to bring that experience and level of care to smaller clients who would like to hire a large firm, but whose legal matters may not be sizeable enough to command its full attention. 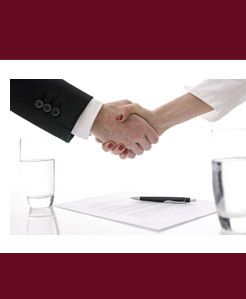 As serious and yet practical attorneys, we are here for any company, business owner or business person who is committed to handling their legal affairs properly. For matters beyond our U.S. capabilities, we stand ready to bring exceptional worldwide counsel to the table through our distinguished counterpart firms within the International Network of Boutique Law Firms.